Over the past several weeks, we’ve been catching up with the nine publicly traded partnerships that have debuted on the New York Stock Exchange since the beginning of September 2012. In total, 13 energy-focused master limited partnerships (MLP) went public last year–three shy of the all-time record set in 2006. With CVR Refining LP (NYSE: CVRR) and Suncoke Energy Partners LP (NYSE: SXCP) recently placing their initial public offerings (IPO), the influx of new MLPs that pay variable distributions or operate nontraditional assets appears set to continue into 2013. Including these two IPOs, the pipeline of prospective publicly traded partnerships that have filed their S-1 registration statements with the Securities and Exchange Commission stands at 10 and will likely increase in coming months. After the end of the fourth-quarter earnings season, Energy Investing Weekly will review the publicly traded entities that have publicly discussed plans to spin off assets as MLPs, a move that can earn higher multiples on undervalued assets or raise capital to reduce debt at the parent level. This week, we focus on Southcross Energy Partners LP (NYSE: SXE), a publicly traded partnership that owns midstream assets in Alabama, south Texas and Mississippi. The MLP went public on Nov. 1, 2012, pricing its IPO of 9 million common shares at $20 per unit, the midpoint of management’s expected range. After the underwriters exercised their over-allotment option, the public owns a 42 percent stake in the MLP, with the general partner retaining a 58 percent interest. Southcross Energy Partners’ asset base balances pipelines in Alabama and Mississippi that generate steady cash flow and involve little direct exposure to commodity prices with pipeline, processing and fractionation assets that service the Eagle Ford Shale, one of the nation’s most active shale oil and gas plays. 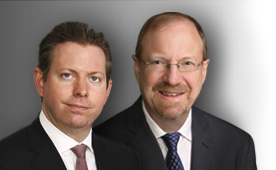 A portfolio company of private-equity outfit Charlesbank Capital Partners, Southcross Energy Partners’ predecessor in August 2009 built the foundation of its midstream asset base with an opportunistic acquisition. CEO David Biegler and his management team took advantage of Crosstex Energy LP’s (NSDQ: XTEX) efforts to raise capital and reduce its debt burden amid the collapse in energy prices, purchasing the financially strapped MLP’s pipelines in Alabama, south Texas and Mississippi for $220 million. Southcross Energy Partners’ natural-gas pipelines in Alabama and Mississippi accounted for about 21 percent of the MLP’s revenue in the first half of 2012. These systems generate a reliable stream of cash flow, thanks to contract terms that feature little exposure to fluctuations in commodity prices. However, aside from the potential for occasional bolt-on transactions, these assets offer scant opportunity for near-term upside. The largest intrastate pipeline network in Mississippi, Southcross Energy Partners’ 626-mile network boasts a nameplate capacity of 345 million cubic feet of natural gas per day and delivers the fuel to utility, industrial and power-generation customers, as well as third-party pipelines. Throughput on this system averaged 77 million cubic feet per day in the first six months of last year and has declined modestly in recent years. All volumes transported on Southcross Energy Partners’ Mississippi assets earn transportation fees and fixed margins. After the acquisition of Enterprise Products Partners LP’s (NYSE: EPD) pipeline network in September 2011, the MLP’s Alabama system comprises 519 miles of pipelines that can transport a maximum of 375 million cubic feet of natural gas per day. This network sources the majority from west-central Alabama’s Black Warrior basin, one of the longest-running coal-bed methane developments in the US. Throughput on these pipelines averaged 114 million cubic feet per day in the first six months of 2012, with volumes attributable to the Black Warrior declining at an average annual rate of about 6.5 percent. About 83 percent of the volumes on this system are covered by fixed-fee contracts. With depressed natural-gas prices likely to suppress drilling activity in the fields that supply Southcross Energy Partners’ pipelines in Alabama and Mississippi, we expect throughput on these systems to continue their steady decline. However, the growth outlook for the fledgling MLP’s midstream assets in south Texas appears much more sanguine. 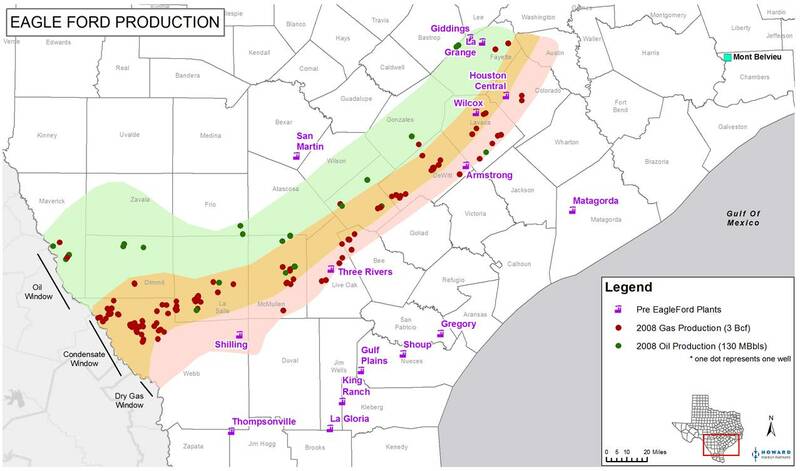 Robust drilling activity in the liquids-rich windows of the Eagle Ford Shale has led to a dramatic upsurge in hydrocarbon output that has overwhelmed existing takeaway capacity and created significant opportunities for midstream operators to build much-needed infrastructure. Data from the Railroad Commission of Texas, which regulates the production and transportation of hydrocarbons in the state, indicate that natural-gas output from the Eagle Ford Shale surged by 343 percent and crude-oil volumes soared by 955 percent in 2011. 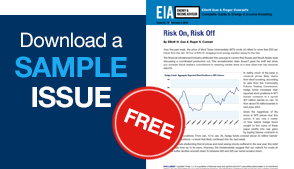 Although average daily oil production jumped by another 167 percent through the end of November 2012, gas volumes remained relatively flat last year–a product of well decline rates and the depressed price of natural gas. Discovered by Petrohawk Energy in 2008, the Eagle Ford Shale consists of three distinct windows: the northernmost portion primarily produces oil; the middle band contains natural gas and significant quantities of natural gas liquids (NGL), a group of heavier hydrocarbons that includes ethane, propane and butane; and a southernmost window that contains mostly natural gas. This animated map from the US Energy Information Administration depicts these windows and tracks drilling activity in the play through 2011. 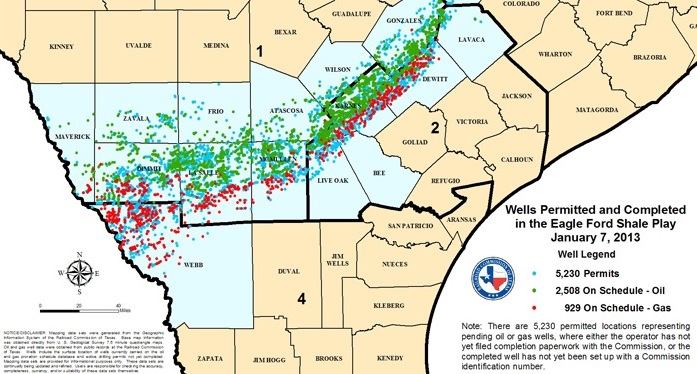 This more recent map, which tracks pending oil and gas wells, underscores the level of activity in the Eagle Ford Shale’s oil and NGL-rich windows. Based on its current asset base, Southcross Energy Partners’ opportunity set resides in providing end-to-end midstream solutions–from gas gathering and processing to NGL fractionation and marketing–for producers in the wet-gas portion of the Eagle Ford Shale. Quite simply, the rapid production growth that occurred in 2011 overwhelmed the region’s existing midstream infrastructure and outpaced planned capacity additions. Although this portion of south Texas had significant gas-processing capacity in place prior to the discovery and development of the Eagle Ford Shale, these plants were designed to handle associated gas from oil wells that contained between 2 and 4 gallons of NGLs per million cubic feet. 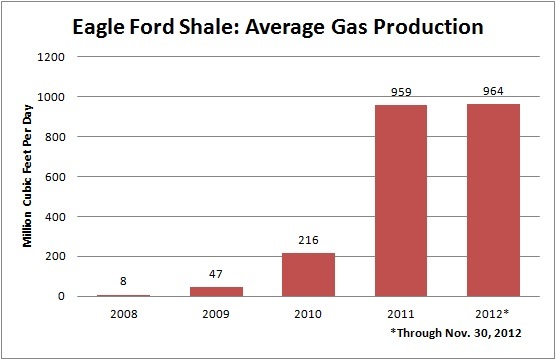 However, contemporary wells in the shale play’s wet-gas window usually contain between 5 and 7 gallons of NGLs per million cubic feet, necessitating a wave of upgrades to existing processing capacity. Meanwhile, the sudden upsurge in gas and NGL production requires the expansion of existing plants and the construction of new facilities. 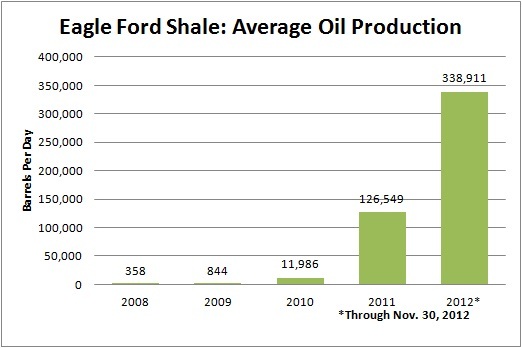 In total, almost 3,900 million cubic feet of new processing capacity is expected to come onstream between 2012 and 2014. Further down the value chain, demand for fractionation–the process by which the NGL stream is separated into purity products for delivery to end-markets–has also outstripped existing capacity, the majority of which is located at Mont Belvieu, Texas. This bottleneck gives enterprising midstream operators the opportunity to install fractionation capacity closer to the Eagle Ford Shale and planned propane export facilities in Corpus Christi. Southcross Energy Partners has sought to take advantage of these capacity constraints, undertaking a number of projects to expand the pipeline, processing and fractionation capacity that its predecessor acquired from Crosstex Energy. The MLP in 2011 spent $10.9 million reactivating an idle train and enhancing liquids recovery at is Gregory plant and in July 2012 completed the construction of its Woodsboro facility, projects that increased its gas processing capacity to 385 million cubic feet per day. Another $9.4 million project, slated for completion in February 2013, will improve the Woodsboro plant’s NGL recovery rate. Southcross Energy Partners has also expanded and acquired complementary pipeline assets and expects to complete the expansion of its Bonnie View fractionation facility in February 2013. In a conference call to discuss the MLP’s third-quarter results, management noted that a number of NGL-related projects were under consideration–including another expansion of its Bonnie View plant–with the company seeking to identify as many alternative markets for these products as possible. Other growth projects in the works include a potential doubling of Woodsboro’s processing capacity. Although we like Southcross Energy Partners’ position in the Eagle Ford Shale and its focus on growing fee-based cash flow, its relatively limited asset base means that potential outages will have a greater impact on quarterly results. At the same time, Southcross Energy Partners doesn’t need to undertake large projects to drive distribution growth. We’ll keep a close eye on Southcross Energy Partners’ fourth-quarter results and commentary, but with units of NGL-focused names such as DCP Midstream Partners LP (NYSE: DPM) and Targa Resources Partners LP (NYSE: NGLS) trading at attractive valuations, we prefer these established players at this juncture. Both of these larger MLPs have credible growth plans that should enable them to increase their distributions despite the recent weakness in ethane prices.